You may remember our promotional post on Justin Bog’s festive short stories read in ‘Hark: A Christmas Collection’. Now, Justin is back with a new dark short stories read in SANDCASTLE and Other Stories! Blurb: The Complete Edition of Justin Bog’s First Collection of Dark Psychological Suspense Tales. 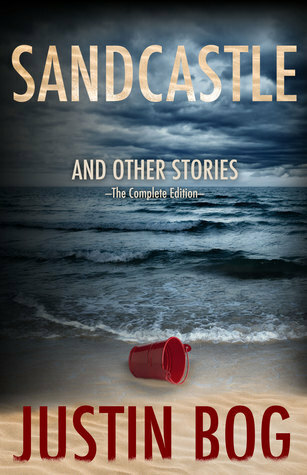 An award-winning collection, Sandcastle and Other Stories reveals twisted secrets that are mined like plutonium. These twelve literary tales are nothing short of an adventure through a roiling sea of emotion. With authenticity and eloquence, author Justin Bog holds a provocative and compelling mirror on the human condition.